Apple Announced New SecondGeeration Airpods. Home » Gadgets » Mobile » Tech News » Apple Announced New SecondGeeration Airpods. Apple has launched a new second-generation AirPods. 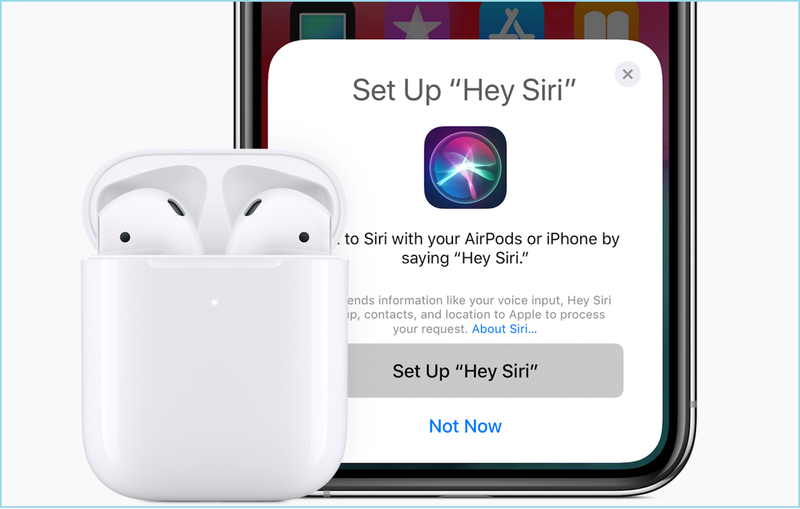 This new Airpods is coming with H1 chip which means it provides high efficiencies, faster connecting time between pods and devices and you can ask anything to Siri just by saying “Hey Siri” command. New Airpods provide 50 percent more talk time efficiency. According to Apple, switching between two devices is much faster than the previous- generation AirPods. Phil Schiller says that that, Airpods provide magical wireless experience and become one of the most loving product ever and it also provides an innovative control on your music and audio. The world best wireless headphone Airpods is getting its new look by H1 chip which brings many additional features in it like longer talk-time or hand free access to Siri. The wired model of the second-generation Airpods is $159 and the wireless Charging Case cost $199. You can buy a wireless charging case by purchase of $79. After spending some time on Apple website, its come to know that old version of Airpods no longer available for sale. And the new Airpods are available to buy from Apple.com and Apple Store app.